The new collection for 2017 uses developed fabric. The idea comes from NEOPLEN which is mainly used for wetsuits. 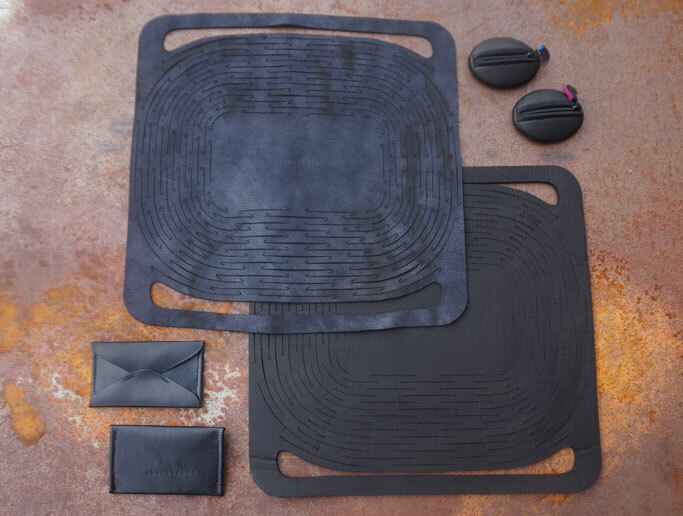 Since there are always small useless pieces after cutting the patterns for wetsuits in the manufacturing process, Cabanekaban reuses these recyclable materials by sticking extremely thin deer leather onto the surface. This light weight fabric looks chic and elegant.